A Sea Turtle with special shell details! 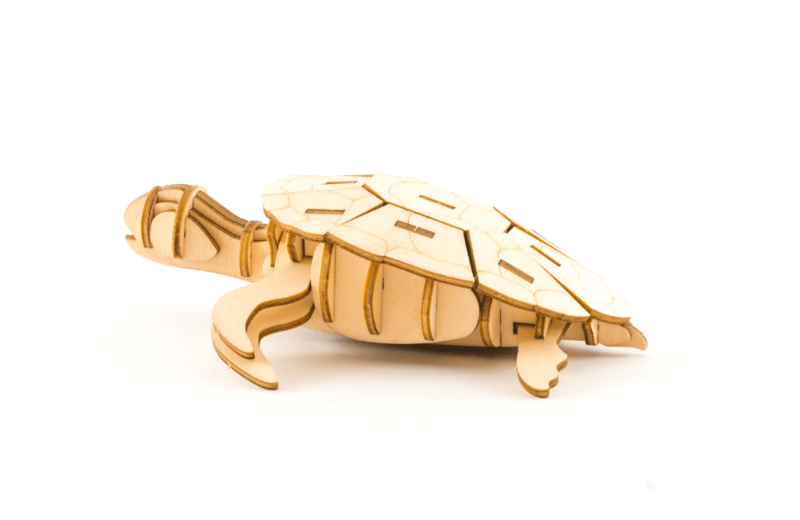 The Ki-Gu-Mi Sea Turtle shell is laser-etched with a classic Turtle pattern, and fits in the palm of your hand! Ki-Gu-Mi fun fact: Temperature determines the gender of the baby turtles. Turtles will be born female if the temperature of the egg is high and male if the temperature of the egg is low.